Anyone had any experience with this set up ? In short a system that taps into oem AC circuit to cool charge cooler water ***** - interesting/novel or bonkers ?? We have it installed on our M3. Works great! Anybody know how much or how to purchase this kit? Thoughts on superchilling Methanol in the trunk? It makes a lot of sense logically that this would be a good idea from a reliability / repeatability point of view - surprised there isn’t more interest. 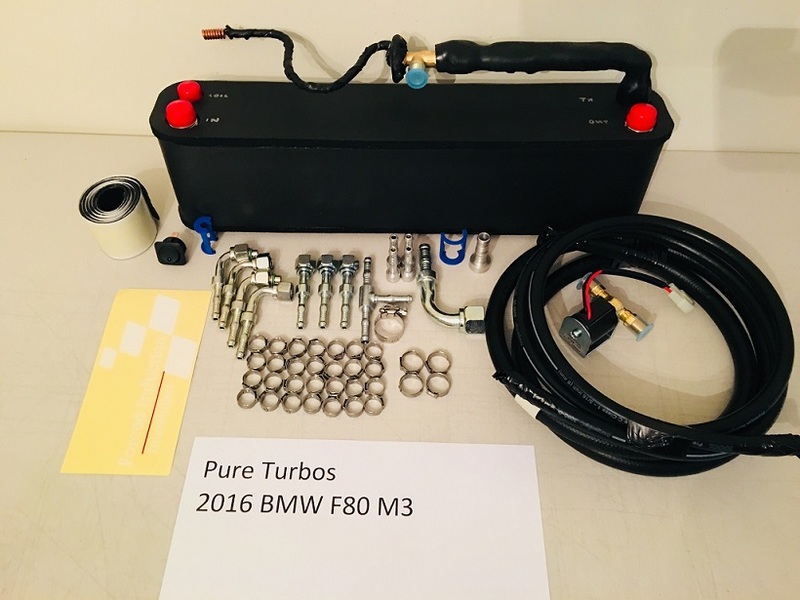 Actually an Australian company, I might get in contact with them when my M2C arrives..
Funnily enough a good friend who is more into the drag racing scene actually told me we should make something like this for the S55 when my car comes ages ago, before we knew this had been developed. Pretty common in the supercharged V8 / drag racing scene apparently. The Kincaid Killer Chiller is made for the Cobra application. I have it on my 2003 Whipple supercharged car. Works great in that application. I have the drag pack version with wrapped lines so no condensation on track surface. There are videos on Youtube showing the temperate drop of the supercharger coolant.